Cerno is a Laguna Beach-based lighting manufacturer that specializes in creating high-end LED fixtures that feature a sharp, contemporary look and surprisingly organic feel. Cerno has an unrelenting passion for innovative designs matched with materials like birch wood, plywood, metal and designer fabric put it in a class all its own. Modern designs are pushing the envelope more and more when it comes to creating sleek designs that support a sustainable environment. From LEDs to using renewable materials, forward-thinking design almost inevitably means the environment factor plays a crucial role. Enter Cerno, a Laguna Beach-based lighting manufacturer that specializes in creating high-end LED fixtures that feature a sharp, contemporary look and surprisingly organic feel. Cerno lighting has an unrelenting passion for innovative designs matched with materials like birch wood, plywood, metal and designer fabric put it in a class all its own. Can’t argue with that, right? That philosophy seems to shine through in Cerno’s collection, fusing contemporary design with quality, performance and resource efficiency. From left to right: Silva Table Lamp, Cubo Wall Sconce and Onus Table Lamp by Cerno. We aren’t the only ones loving the originality of Cerno’s fixtures. The Cubo Wall Sconce, a hybrid reading lamp/wall light recently received the LED Award for Best Luminare for Public Use Interior. This sconce part of the fixture features a strong walnut base and ambient light. But tucked underneath is an adjustable task lamp can be extended out from the wall, or folds up under to become part the sconce when not in use. My personal favorite is the Silva Table Lamp, a super clean but enduring design that was inspired by the structural connection between metal and wood. It almost makes you do a double-take to see how exactly it’s standing up, but that structure helps it maintain its stature on uneven surfaces. Aside from the superb functionality, it’s just dang good looking. 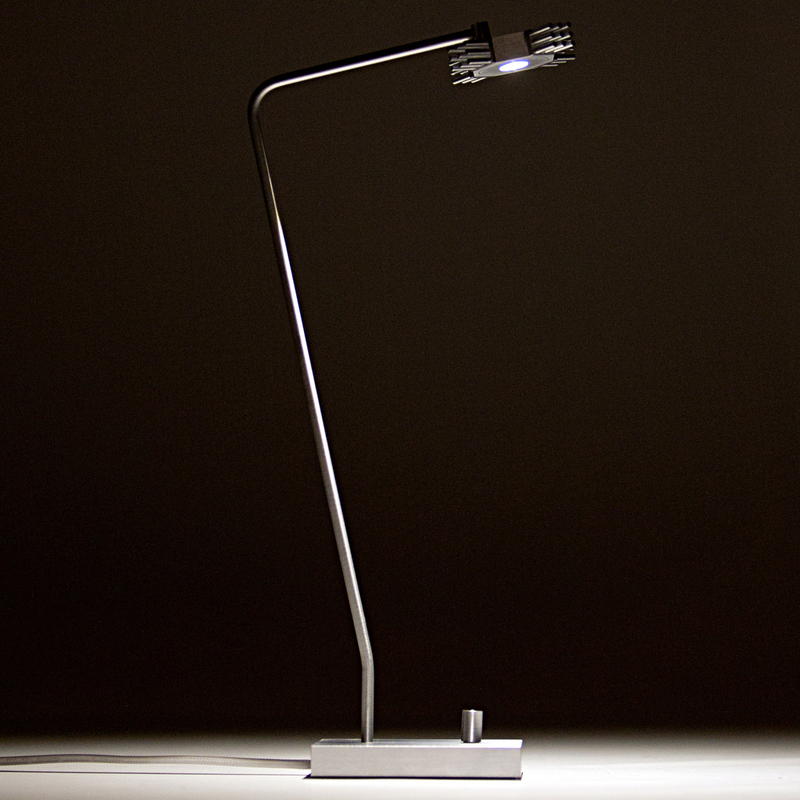 Cerno lamps are new at Lumens.com, so be sure to check them out and let us know what you think.